Compuknit Hosiery has been a leader in Australian sock manufacturing since its inception in 1994. Compuknit is a third generation family run company founded by Mr Antonio Pietrolungo following his previous successes, throughout the 70s, 80s and 90’s as a director of one of Australia’s largest sock manufacturers. At Compuknit Hosiery, we pride ourselves on providing our customers with a complete and transparent experience from the early stages of sampling through to the moment your order arrives at your door. 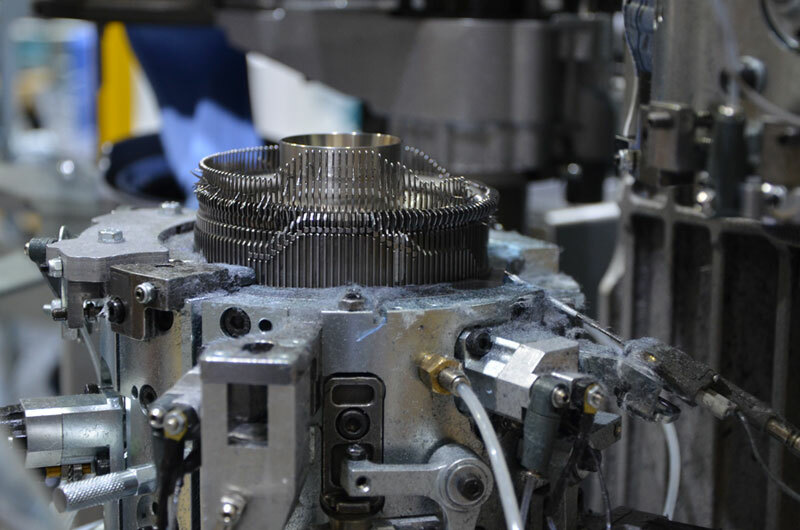 Every process is conducted on site at our factory located in the industrial hub of Thomastown, Victoria. With a combined industry experience of almost 50 years and the trusted reputation among our existing customers, we can assure you that we will provide a product that not only meets your expectations but surpasses them. Giving you a product that you will be proud to offer your customers. It all starts with a phone call. We discuss your ideas and organise a time to meet to further explore your designs. Time is taken to work together to find a solution that best satisfies your design criteria, choosing the most appropriate style and colours from the many available options that are available for you. What started out as a concept is then quickly turned into reality as your sock begins to take shape through the manufacturing process. The sock patterns are drawn using the specialised patterning software and a sock program, called a chain, is created and loaded onto the knitting machine by specially trained technicians. 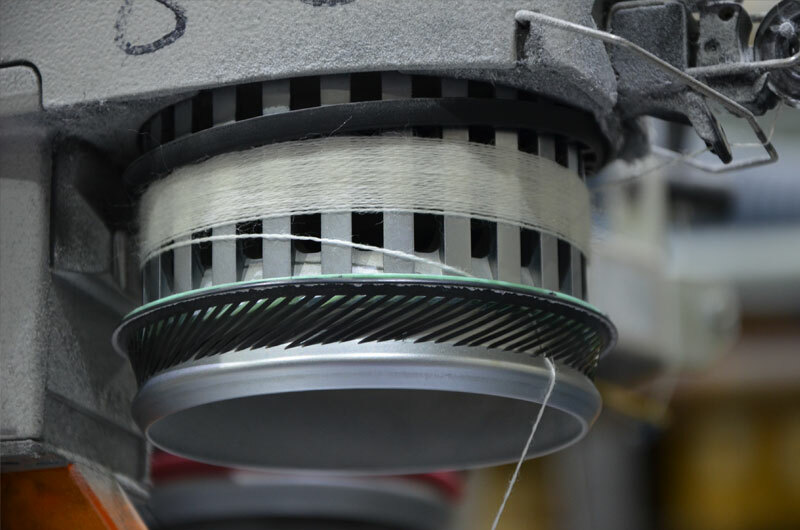 Using our state of the art Lonati single cylinder circular knitting machines or Lonati double cylinder circular knitting machines and, making use of carefully selected yarn suppliers to ensure only the highest quality of raw materials are used, the first prototype is created. Consultation is a must throughout the initial phase of your product in order to fine tune the program to the point that both parties are satisfied that the product being provided has met the design requirements to the highest level. To ensure that only the highest quality product makes it to your door, a series of quality checks take place throughout the manufacturing process. The first of which occurs as soon as the sock drops from the machine. A general inspection of the sock is conducted followed by a series of stretch measurements to guarantee the size of the product remains consistent. Once knitting has been completed, the socks are sorted and then undergo a steam cycle. The steam cycle relaxes and pre-shrinks the sock and gives the sock a softer and comfortable feel for the end user. This process also strengthens the hold of the yarn fibres and prevents loose ends from appearing and is an essential step towards the high quality final finish of the sock. Next, the socks are pressed using the pressing machines. 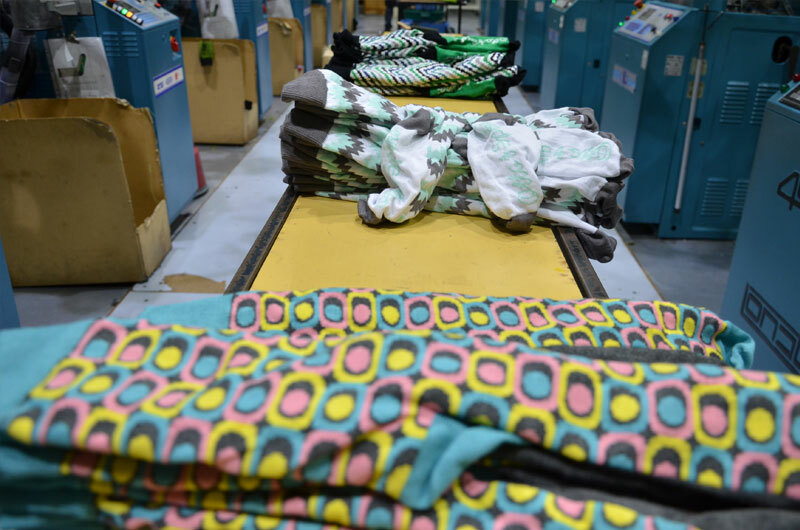 An operator will feed each individual sock onto a press board that is sent through a series of large pressing irons heated to between 150 and 180 Celsius depending on the fibres used. This gives the sock its shape and further relaxes the sock, again adding to the final finish of the product. Once pressed the socks are graded. This involves a careful quality check of each sock checking for any loose ends, any size discrepancies, faults and to ensure we have the correct quantities. Socks are then matched into pairs and folded in preparation for packing. Graded socks are brought to the packing tables where they are checked once more and then packed according to your specifications. A wide variety of packing options are available for you to choose from, no matter how simple or complex, all packing takes place within these factory walls. At Compuknit Hosiery, we recognise the importance of keeping up to date with technology. 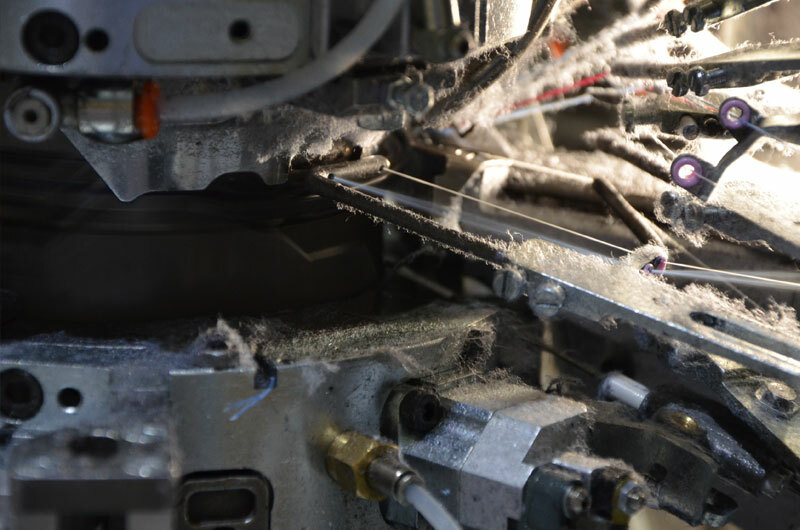 That’s why we regularly update our knitting equipment so as to always enable ourselves to offer the most modern and up to date product to our customers. In the past 24 months we have implemented a green policy by replacing all our lighting with LED lights and installing over 350 solar panels which generate just on 30% of our power requirements. 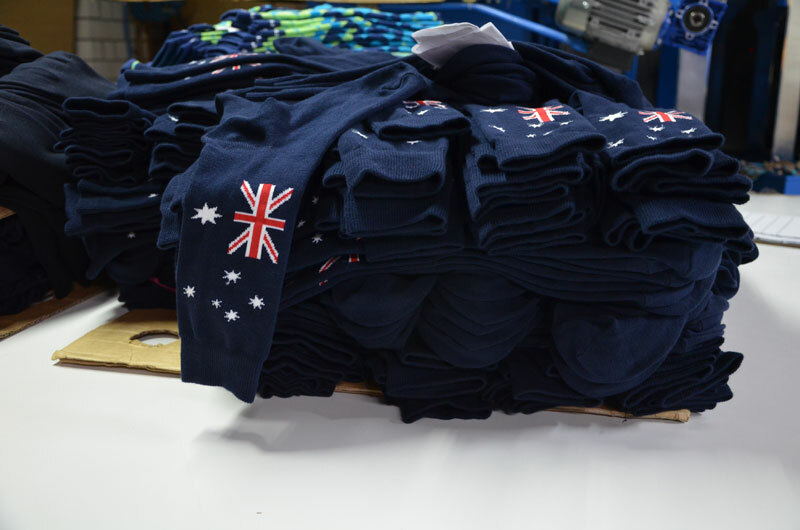 We are also proud to display the Australian made Australian Owned Logo together with the ISO 9001 and Ethical Clothing Accreditations.